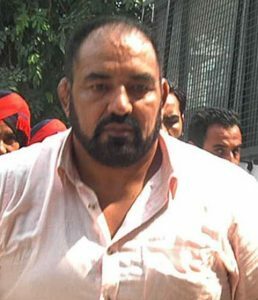 Mohali (Punjab) (IANS): Former international wrestler and Arjuna awardee Jagdish Bhola was on Wednesday convicted and sentenced by a special CBI court here in a multi-crore drugs racket, termed as Punjab’s biggest, that was busted in 2013. Bhola had been a Deputy Superintendent of Police in Punjab Police, but was dismissed from service in 2012 after his links with the drugs racket were revealed. He was arrested in November 2013 in connection with a Rs 700 crore [1 crore = 10 million] drugs racket. Subsequent police action against the drug mafia led to the busting of a Rs 6,000 crore drugs racket. The Punjab Police, in March 2013, had alleged that international boxers Ram Singh and Vijender Singh took heroin from Canada-based drug dealers Kahlon and Rocky for personal consumption between December 2012 and February 2013. While Ram Singh was arrested by the Punjab Police in April 2013, Vijender Singh, who was an DSP under training in Haryana Police at that time, was questioned in this regard. The police had alleged that Vijender Singh consumed heroin 12 times. He, however, got a clean chit in the matter later.